You are currently browsing the Archaeofacts.com archives of Musings for the day Sunday, September 16th, 2018. My, we’ve been sticking close to home lately. Not exactly sure why…. 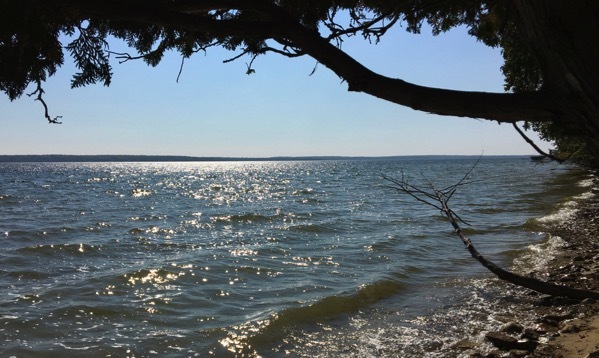 Just darned pretty weather may be most of it. So warm lately that we’ve been pouring the dishwater on the basil and the July-planted potentilla. 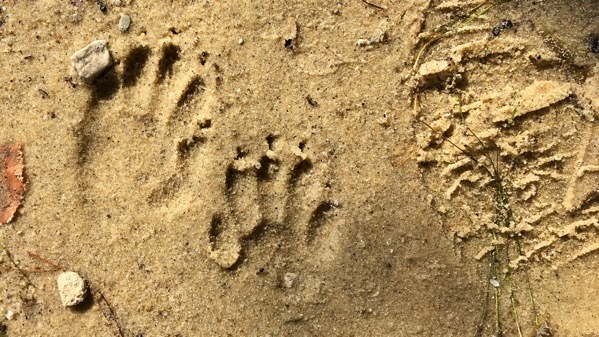 On the beach, these tracks…I want to say raccoon because of size, location, but are they really? I think of the “heel” area as more elongated, but maybe just variation in stepping means it doesn’t show? Not to worry…. Also on the beach, this flower. They’re here and there around the property. 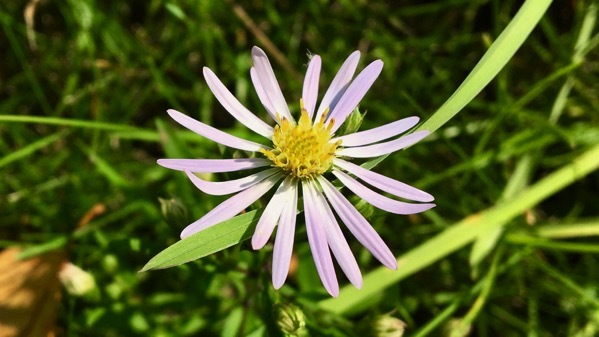 I think of them as some kind of aster.